Death of a Goddess: Whitney Houston - last part. 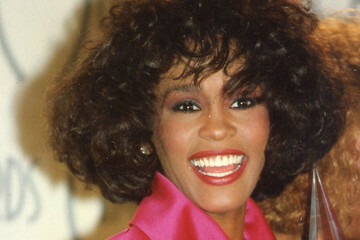 WHITNEY HOUSTON: DEATH OF A YOUNG GODDESS. In later information, it was reported that the American singer and actress was found inanimate in the bathtub in her room. Her death was determined at 3:55 p.m. on Saturday, 12 minutes after the call of her relatives to the relief services.The paramedics practiced cardiopulmonary resuscitation maneuvers for about 20 minutes, without achieving any results. Local police said that "there are no obvious signs of criminal intent". Meanwhile, according to the sensationalist site TMZ, it is claimed that she died submerged in her bathtub. She was accompanied by her stylist, hairdresser and two bodyguards at the time of her death. According to narrated, the singer took a long time in the bathroom and people waiting outside, in the hotel room Beverly Hilton, began to miss. Her hairdresser decided to go in and found Whitney Houston face down in the bathtub, dead, with a trickle of blood coming out of her nose. At first it was speculated that she fell asleep due to the effects of a painkiller in combination with alcohol, since it is known that Xanax habitually used to control anxiety. They found evidence of water in their lungs, suggesting suffocation by drowning. Houston held a gospel funeral with a massive and private ceremony on February 18 at 12 noon (Eastern Time), at New Hope Baptist Church in Newark, New Jersey. She was buried on Sunday, the 19th, in the Fairview Cemetery, in Westfield, New Jersey, where her father, John Russell Houston, is also buried, who died in 2003. The daughter of Whitney Houston and Bobby Brown, Bobbi Kristina Brown, was buried together to the grave of her mother in 2015. The official results of the autopsy were announced on March 22, 2012, and confirmed some preliminary hypotheses. The Los Angeles County coroner's office reported that the cause of death in Houston was attributed to accidental drowning in which other contributing factors, such as "the effects of atherosclerotic heart disease and cocaine use," were added. , the office said that the amount of cocaine found in the artist's body was inhaled shortly before her death. Thus, toxicology results revealed another type of medication in her system: Benadryl, Xanax, cannabis and Flexiril. So simple but at the same time complicated, Whitney began her other career to the pantheon of the Goddesses whose singular voices made the world dream. Her image will remain as a black beauty that at the same time had a privileged voice, of those that appear every 100 years.